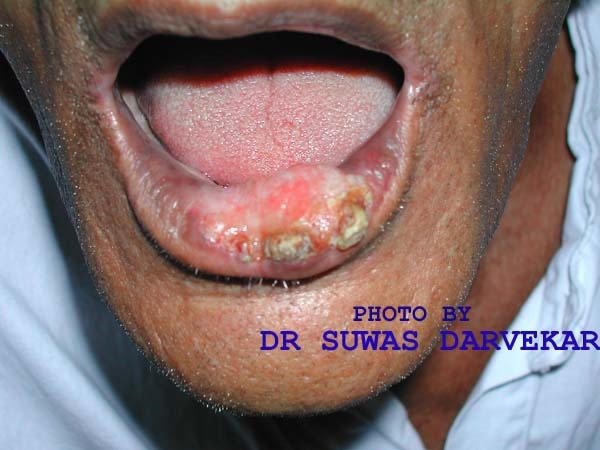 Carcinoma of the lip usually starts at the vermilion border of the lower lip. 95% of lip cancer affects the lower lip. It is in the form of a nodule, which ulcerates and forms a small scab, which fail to heal completely. It is often misdiagnosed as a cold sore. Eventually the margins of the lesions become proliferative and an extensive exophytic lesion with central ulceration develops.